Producing some of the most intriguing designs at Maison & Objet 2013 earlier this month were Japanese designers from the innovative Japan Handmade group from Kyoto. 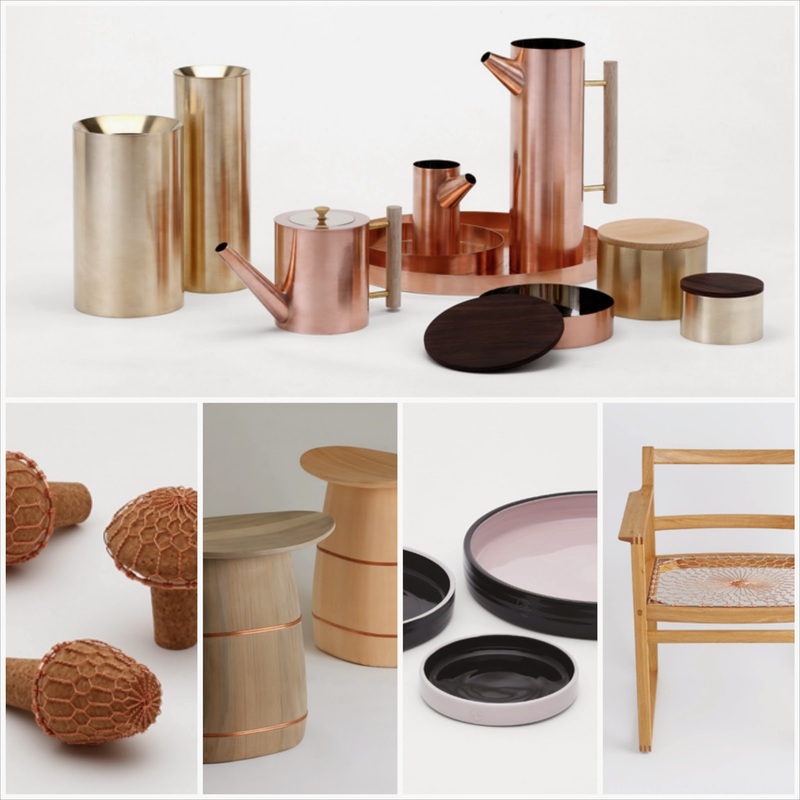 Inspired and informed by their country's metalworking, ceramic and wooodworking traditions, the young Japanese designers of Japan Handmade presented inspiring homewares and furniture. The simple copper teapots by Kaikado, a company that was established in Kyoto in 1875, were real showstoppers. Japan Handmade at Maison & Objet earlier this month. Top: brass and copperware from Kaikado; bottom left to right: copper wire metal-knitting from Kanaami-Tsuji; wood and copper stools from Nakagawa Mokkougei; ceramics from Asahiyaki; and again using wire metal knitting techniques of Kyoto, this limited edition library chair was designed for Kanaami-Tsuji by Danish architect Børge Mogensen.